The ancient town of Xitang is situated in Jiashan County, under the jurisdiction of Jiaxing City, Zhejiang Province. Some 90 km away from Shanghai and 110 km from Hangzhou, Xitang sits where China's three economic giants meet – Shanghai Municipality, and Jiangsu and Zhejiang provinces. One of the town's geologic advantages is its comprehensive network of land and water communications. 1. 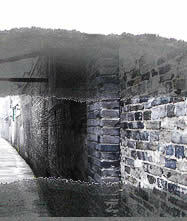 Ancient bridges Up until 1998, there were 104 old bridges, all of which were built during the Ming and Qing dynasties. 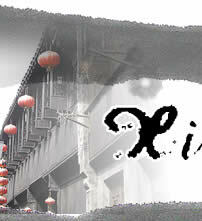 These include the bridges of Anren, Anjing, Anshan, Wufu, Qingning, Wolong and Laifeng. Most of them are single- or triple-arched wooden beam bridges with stone piers. Traditionally, Chinese New Year kicks off with a sacrifice to a kitchen god. This god is seen as the most important one to be "served." 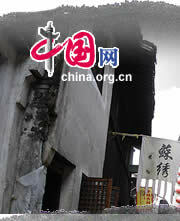 Offerings are placed at the altar on the 23rd day of the last lunar month, which is considered a lesser New Year's day. Offerings always include rice wine, maltose and steamed rice cakes. Through ticket: 60 yuan Boat ride: 80 yuan for a boat that sits 12. 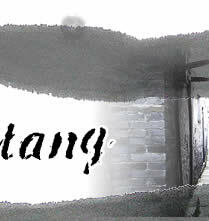 Information: Xitang Town Tourism and Culture Development Co., Ltd. Tel: 0573-456 4161 http://www.xitang.com.cn/eindexx1.htm How to get there: Xitang is 90 km from Shanghai, 110 km from Hangzhou and 85 km from Suzhou. From Shanghai: On weekends and public holidays, special-line buses to Xitang set off at 9:00 from Shanghai Stadium and Shanghai Hongkou Soccer Stadium and leave Xitang at 16:00; 85 yuan (including admission fee).